In MasVida, we also produce oil. We recovered the olive tree crop and, little by little, we've managed to plant over than 4.000 olive trees from the varieties Manzanilla, Picual, Argudell and Arbequina. We produce about 20.000 quilos of olives that have a yield of 18,5% and make more than 3.800 litres per year. 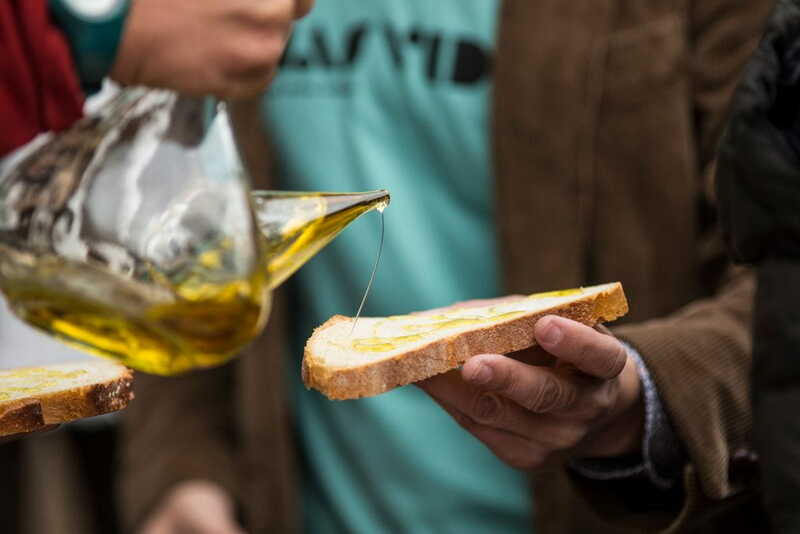 We pick the olives in december, we take them to the mill and there, through a cold press and using mechanical processes, the virgin oil MasVida is extracted. Sharing MasVida oil is one of our future projects. We hope to do it soon in order you can enjoy this little treasure at home! The type of oils depends a lot on typical organoleptic propertiesof each variety and the coupage we do after getting the oil. Which oil do you like the most? Manzanilla variety produces an oil with a deep , bitter taste, very aromatic and fruity. Picual has specific traits on senses which make this variety easy to differentiate among others. Fruity, fragrant, bitter, spicy and astringent, it gets smoother by the time. Argudell is the endemical variety of our area, l'Empordà, it produces an oil that presents a deep green-yellow color, a pleasing sensation on the palate, slightly bitter and spicy. Arbequina has a yellow color with green reflections. On the nose, it is clear and persistent, with herbaceous shades, on the mouth it is likely sweet. Very equilibrated.